Since I only have done short jonts, long weekends and boondock I have never dumped my tanks at a campground. 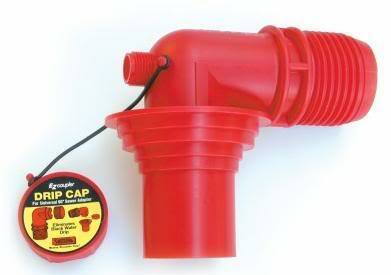 ( I did over 25 years ago in the C but cannot remember) Do campgrounds have a hose or do I have to bring one along? if so is 25 feet enough? 25' is usually enough on a site with sewer hook-up. Every site is different. If it isn't then the campground probably has a dump station that you could go to every few days. My Roadtrek had the waste valve near the front of the van and sometimes the sewer hookup was at the very rear of the site. I didn't have enough hose for those situations. Also, lots of campgrounds ask that you create an airtight connection. It'd not really airtight but you get the idea. Some are threaded and some are just pipes. 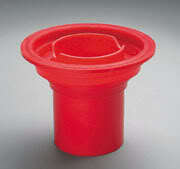 I use Valterra's EZ Coupler line of sewer fittings. It's easier to carry all this stuff in a B+ or C! 90 degree elbow. This is actually two parts. One part stays attached to the sewer hose. Sewer sponge ring or rubber ring. 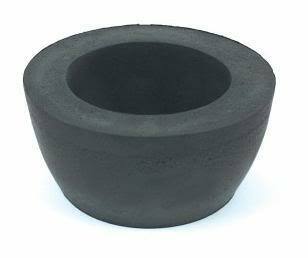 I use this to make an airtight seal. 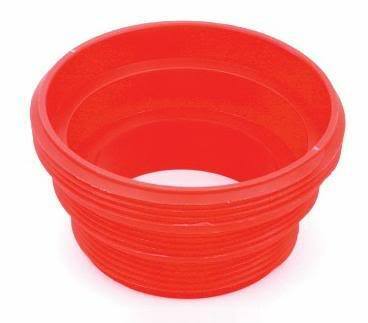 If the connection at the campsite is threaded I use this threaded adapter instead of the sponge rubber ring. This is a spare part (already shown connected in photo #1). I carry two of these. The threaded adapter stays on one and the rubber ring stays on the other. With these parts, I haven't come across a campsite hookup that I can't connect to properly. Hey, where were you last week when my house needed a plumbing specialist??? (or clogging) in older homes. I guess, if it's the way downward (vertically) into the campground system, it shouldn't matter as much. I think 25' is way too long! I don't think you really want any longer than 10'. With them being corrugated, it would take quite a bit of water flow to clean out a 25'er. Our rig is also an RT with the built in hose at the driver door. It only extends out about maybe 3' and we keep another 3' section with the right angle adapter in the outside compartment. That has always been more than enough at dump stations for us. We don't usually hook up the sewer when we visit RV parks, just dump at the station on the way out. What I really ment was a 25 foot garden hose for rinsing is that long enough? I plan on boondocking for a day or two then stay at a campground for a day and empty the tanks. I may just be using the dump site rather than full hookup at site. It really depends on availability and cost. I really do not plan on staying in the same place for long although if a particular campground is nice and we feel like relaxing we just may hangout by the pool for a couple days along whith any other ammenity they may be providing. There is way to much to see and do out there so we really don't plan on staying in one place. Most of the dump stations I have been to do have hoses though. We keep a 20 foot coily hose with us, one specific for potable water and another for regular hose duties. By coily, I mean one of those that self coils like a spring. They are easy to pack and sure make things nice! other RV related amenities. It's free/included if you gas up, or spend some money inside. I can't recall how long, or even if they all have a rinsing hose, but I think some do. You can gas up, grab a coffee, and dump your holding tanks at the same time.